The Noriker or Noric horse has been breed in the Alpine region & foothills of Austria for the last 2000 years. The Lipizzan or Lipizzaner is perhaps most well known for their fine performing stallions from the Spanish Riding School in Vienna which is the oldest riding academy in the world. 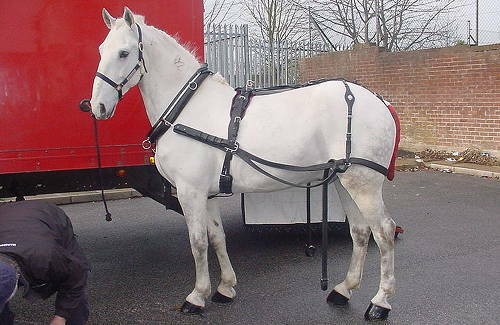 The Lipizzan breed is named for the village of Lipizza near the northwest border of Italy (before the 2nd World War anyway). Austria is actually credited with the origins of the breed because Lipizza was theirs during the breed’s development. A versatile and friendly animal, this animal wins the hearts of almost everyone who owns or rides one. 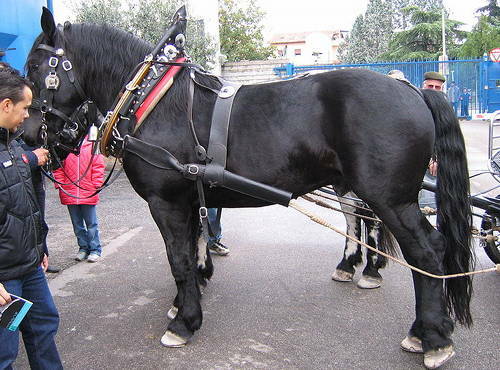 The Austrian Warmblood comes from an area that has long been known for creating fine horseflesh (including the handsome Kladruber & the etherial Lipizzaner). Although this cross was met with resistance from purebred enthusiasts, some Haflinger breeders thought that Arabian blood would refine the breed & increase their athletic ability. The Abtenauer is often thought of as the smallest variation of the Noriker type & like many of the European draft animals, their population numbers have become very low in modern days.